Never be without the right size bit with this 31-pc. Master Forstner Bit Set. Starting at 1/4" and going all the way to 2 1/8", this set includes every bit in between in 1/16" increments. 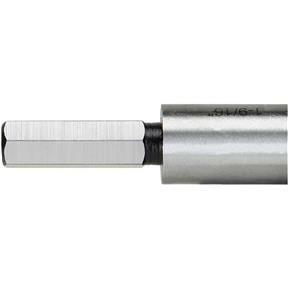 Hex shanks fit 3/8" drill chucks and prevent chuck slippage that otherwise leads to scarring and decreased accuracy. Each bit is precision ground and sharpened, clearly size marked and organized in a fitted wooden case. Pros: Very good price for the set. 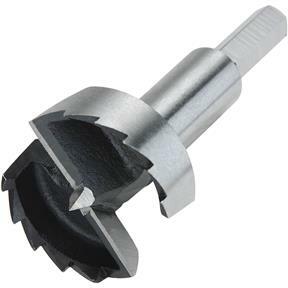 I've found having a set of forstner bits in 1/16th extremely useful. They have become by "go to" bits. Cons: Realize this is not a top-of-the-line set of bits. There are a few manufacturing issues, but nothing that I can't live with. The main issue I have is with the packaging. The wooden is cheap. the hinges or very lightweight, so be careful with the lid. The manufacturer should put more foam in the case, particularly over the smaller bits. When I received mine, the smaller bits had come out of their "slots" and were loose in the case ... not good. I put an extra strip of foam in the case to protect mine. I use the heck out of these. Perfect holes equal perfect projects. I always wait for these sets to come on sale. Seems to work reasonably well. Bits are not quite as sharp as I might have expected....some make cleaner shavings than others. But they do work so far. Will know more after a few more days of use. Very nice to have these drilll bits graduated by 1/16" increments! They do the job. Pretty solid set of bits to keep around. I can't imagine I'll ever not have the bits I need in the future. I will be buying some higher quality bits for the sizes I find my self using often as these don't leave the best finish. Bought for me as a Christmas present as I have been wanting one of these sets for a long time,nothing like them to be had in the UK. Needed a specific size for a job, used it and it operated as youd expect a drill bit to operate. Nice to have a complete set. I have only tried a couple of the sizes from this set. The two I tried cut great so I expect the same from the other sizes. They look well made and the box is very sturdy. Have only used 3 of these bits but they sure do cut good and you can't beat the price. I'm sure these will last a long time. Bits perform as expected. Wooden carry-case is extremely cheap and shoddy. A great item at a fantastic price. Not thr Rolls Royce of Forstner bits but not a Prius other. Glad I purchased this. No regrets what-so-ever. I haven't had a chance to use all the bits yet, but the ones that I have used work very well. 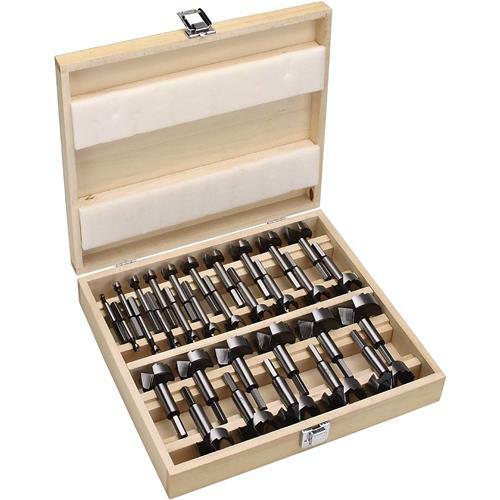 Shipping was fast, I really like the wooden case they come in, and while there may be better forstner bits out there, I doubt you'll find them anywhere near this price. Overall a nice set of bits at a great price. Set is awesome and the 1/16 increments make it worth the money. I am a home woodworker and have only used 3 or 4 of the bits and they worked great and at a good price. I bought this due to the sizes offered. Worked well. Excellent Set! Definitely would recommend it, the set has all sizes that I needed.